Students in MTSU's Jones College of Business now have access to an innovative sales laboratory that will allow them to hone their selling skills in their efforts to become ready-to-hire graduates. 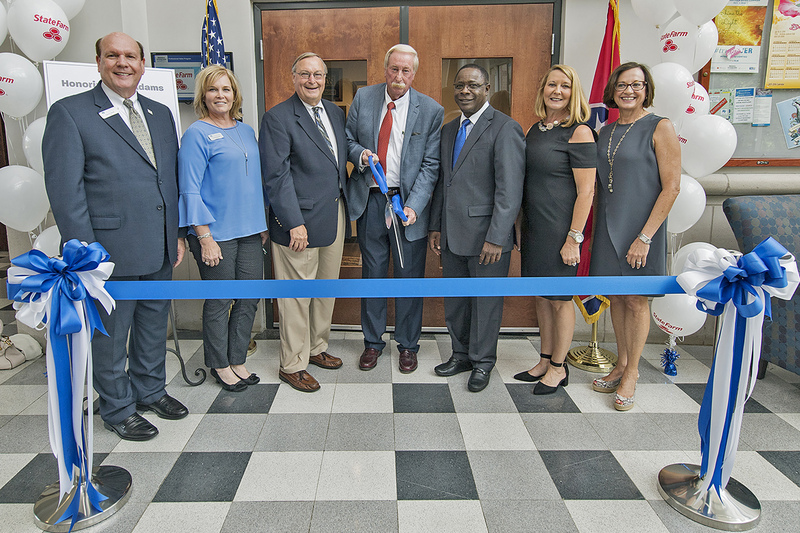 The university cut the ribbon Tuesday (Aug. 7) on the Mel Adams State Farm Agent Sales Lab on the first floor of its Business and Aerospace Building. It is named in honor of the alumnus ('61) and retired longtime State Farm agent who continues to support the university and its new Professional Selling concentration. 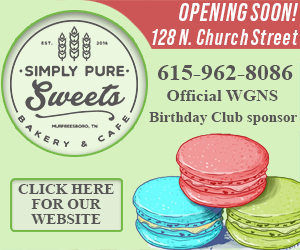 "It feels really good," said a humbled Adams, recalling the days when he started in the business equipped with just a pen and a piece of paper in his hand. The Rutherford County native, who was affiliated with State Farm for 56 years after starting his career as a filing clerk, encourages students to "enjoy what you're doing ... and put people at ease" when making a sale. The multi-functional lab will train students to do so, providing real-world sales scenarios to help them practice. The two-room space is equipped with high definition cameras, computers, software and workplace furnishings that are similar to a professional office setting. Students and faculty can record mock interviews and sales calls and will be able to review and analyze their performance to improve interview skills. "Jones College specializes in hands-on, experiential learning in its business programs," said Dean David Urban. "We use the sales lab as a key part of our new concentration in Professional Selling. In the lab, students make real sales presentations, and can review the video recording of the presentations to learn the most successful sales practices." Before Tuesday's ribbon-cutting, MTSU hosted a luncheon for Adams and other State Farm agents who funded a $50,000 endowment to support the lab, with a majority of those agents being MTSU alumni and some of whom will serve as mentors to Jones College students. 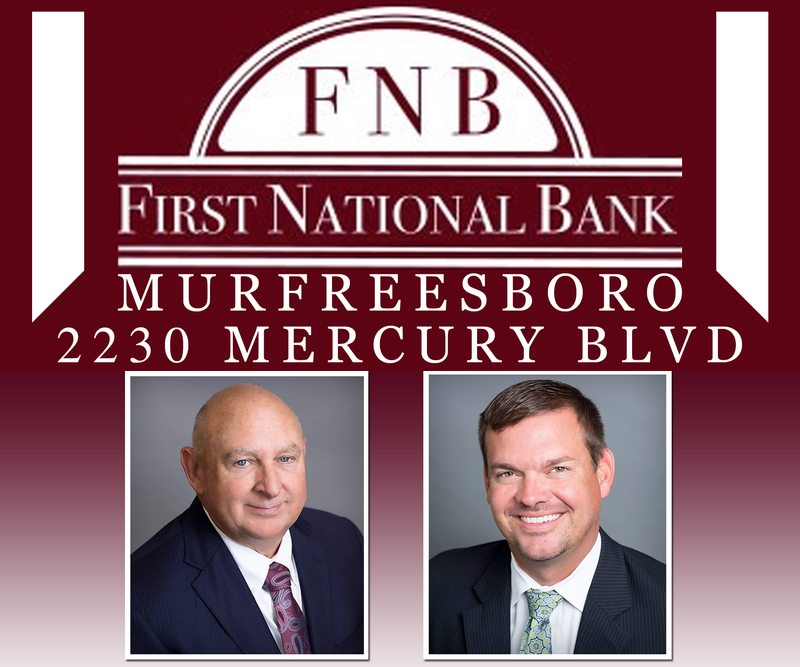 "Mel not only was my mentor, but mentored other new agents as well," said Adams' friend, fellow MTSU alumnus and longtime local State Farm agent Andy Womack. "He set a standard for sales, business management, and professionalism that was a model for agents at all career levels." Part of Tuesday's event included lab demonstrations by Laura Buckner, an instructor in the Department of Marketing who pointed out that "someone can tell you what sales is all about, but until you actually practice it, it's just not the same ... that's why this lab is so valuable." Added Urban: "We find that employers are not just interested in what our graduates know; they are even more interested in what our graduates can do. The learning by doing that our students receive in the sales lab gives them a real competitive advantage over students from other universities who do not receive that type of training."